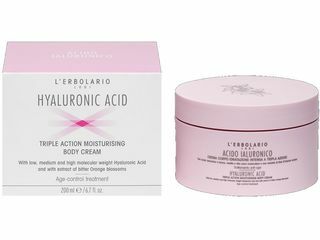 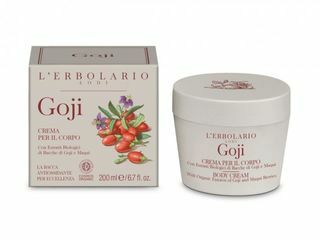 Age-control treatment for the body with low, medium and high molecular weight Hyaluronic Acid and with extract of bitter Orange blossoms. 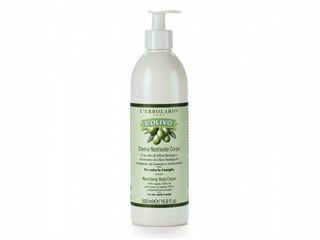 A gentle emulsion that helps facial skin to retain its natural water reserve. 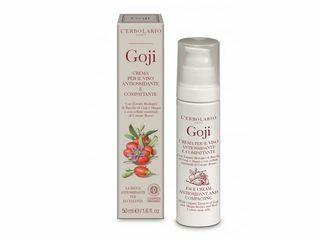 In this exclusive recipe, the antioxidant effect of goji and maqui berries is conbined withthe protective virtues of red cotton stem cells: an essential beauty sstrategy that will suit even the most sensitive and delicate type of skin. 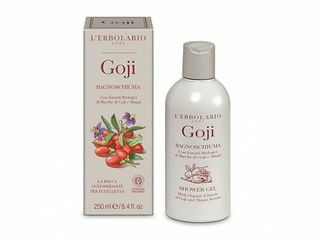 Delicate shower gel with Goji and Maqui berries extracts, two ingredients with a considerable anti-oxidant and moisturizing properties. 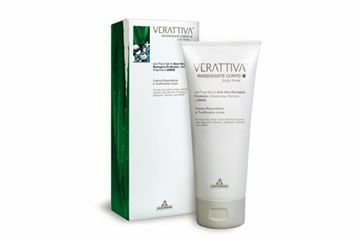 As a simple part of your beatuy routine, it features the ideal recipe for ceasing all skin types. 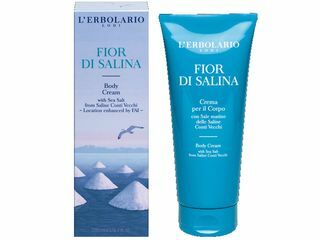 Applied after shower detergent, this cosmetic body cream is ideal for firming breasts, bottom and legs, due to the presence of DMAE. 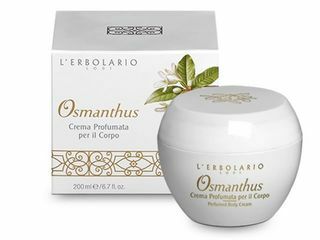 Daily use makes the body more elastic and toned.